Dental anxiety, and the more-severe dental phobia, affects a significant portion of the population, including some of our patients here at Jefferson City Dental Care. Today’s post answers some questions asked about this important topic. What are the long-term consequences of dental anxiety and dental phobia? The most detrimental consequence is when a dental phobic patient delays dental care until a pain becomes excruciating. 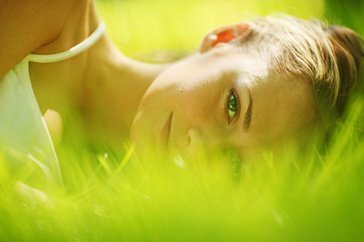 At this point, the trouble is usually extremely advanced and requires extensive treatment. Additionally, there are usually many other dental issues in varying stages of progression. Many oral conditions eventually cause malfunction in other vital systems risking general health and well-being. There is also another anxiety at play, albeit a very ironic one. In addition to the emotional distress about dental treatment, the patient who avoids dental care starts panicking about the sorry condition of their teeth. If I have dental phobia or anxiety, what should I do to protect my oral health? Schedule an appointment with me, Dr. Justin Johnson. There are several particular fears associated with dental anxiety and dental phobia. Fear of pain, fear of the unknown, fear of loss of control, and extreme embarrassment because of poor dental health are the most prevalent concerns. During your consultation, we will address each of your particular fears and discuss them. 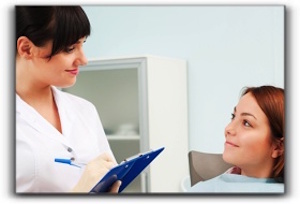 I have helped many patients manage their anxiety during dental exams and treatment. First off, we take things slowly. I explain exactly what is going to happen before each procedure. If the patient is embarrassed about their lack of daily oral hygiene or dental cleanings in the past, I assure the patient that I have treated many people who have neglected their teeth and nothing going on in their mouth will shock me. I never, ever give stern lectures on proper oral care – though I do give friendly instruction if requested. We’ll strive to keep a patient’s discomfort at a minimum if local anesthetic is required. We agree upon a nonverbal signal, such as raising a hand, to cue me to remove my instrument from the patient’s mouth. Then he/she can take a break, breathe deeply, regain composure, ask questions, and learn the status of the procedure. These methods go a long way to alleviate anxious dental patients. At the very least, they help the patient get through the treatment that is required straightaway. With each subsequent visit, the patient is comforted by increased familiarity, greater confidence, and a strengthened relationship with me and my friendly team. What if I need more help to get through treatment? In the Jefferson City dental community, the terms “sleep dentistry” and “oral conscious sedation” are both used, however, they are not exactly the same thing. There are three main types of sedation used in dentistry. Nitrous oxide, or, informally, “laughing gas” is safe and effective. Nitrous oxide has been used in Jefferson City cosmetic dental offices for decades because in many ways it is the prime mild sedative. It goes to work at the first inhalation, relaxes the patient during the treatment without rendering them completely unconscious, and wears off quickly after the mask is removed. And no needles are needed – an important feature for the needle-phobic. Oral sedatives don’t start working as promptly as laughing gas, but they help most patients achieve a deeper level of relaxation. These medications, however, do not usually cause complete unconsciousness. Thus, oral sedatives and laughing gas are used in “conscious” sedation. Two common sedatives used by Jefferson City dentists to ease patient’s fears are diazepam and triazolam. IV sedation produces actual “sleep dentistry.” Most patients are completely oblivious to the dental procedures they are receiving. IV sedation is helpful for root canals, wisdom teeth extractions, multi-procedure smile makeovers, and oral surgery. To learn more about overcoming dental anxiety, sedation dentistry, or any other dental topic, call Jefferson City Dental Care at 573-634-2400.